pop-up stand please contact us and we can assist you. 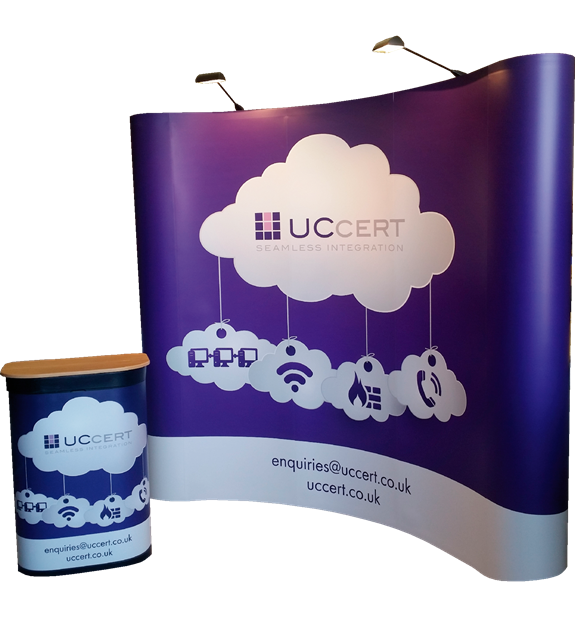 Impact Pop-up - Our system of choice for this type of stand with frame, case and lights has everything you need for a quick and easy display solution at a great price too! provides impact and typically your exhibition stand space is the same layout each time then a Pop-Up stand is a good choice. A relatively recent addition to exhibition products, fabric stands come in a variety of shapes and sizes, lightweight and portable either as a “hop-up”; a cross between the traditional pop-up display and a fabric stand or as fabric sock that stretches over an aluminium frame. 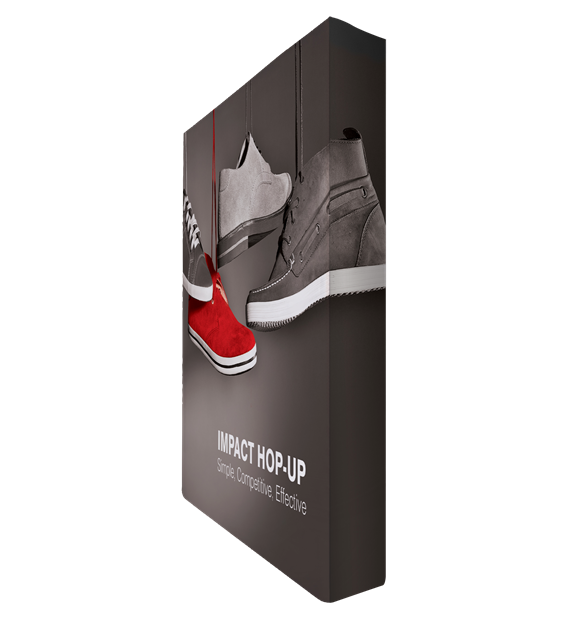 Impact Hop-Up - A lightweight hop-up system that’s very quick and easy to set up offering a superb back drop to your display. Fabric fits smoothly across the frame work and stays in place once frame has been collapsed. Our opinion: Probably one of the simplest stands in the marketplace today with graphics already connected to the frame. 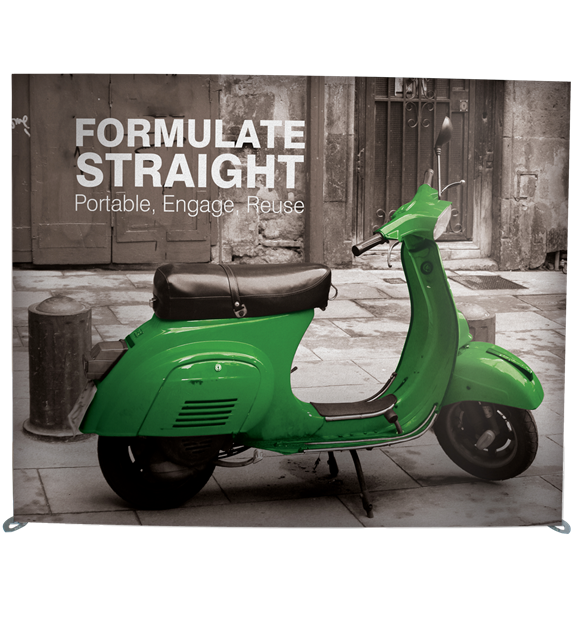 Formulate – This exhibition display product delivers a versatile solution offering different shapes that cannot be created using Roller Banners or Pop-Up displays. standard straight or curved walls. There are a variety of options to choose from why don't you just give us a call! Our opinion: A great product for creating an exciting exhibition space with lightweight re-usable components. Fabric graphics provide a seamless visual display.